Cocoa powder is a great source of flavanoids which are high in antioxidants. Some people who are deficient in magnesium will show increased cravings of chocolate because their body knows that it is a source of this mineral. For other ways to increase magnesium click here. Research also shows that the more chocolate you eat, the less body fat you have. One study showed that drinking hot cocoa may increase your brain’s thinking ability. Cocoa is high in theobromine. This is a phytochemical that improves circulation of your blood. Along with lowering blood pressure, this helps blood also increase flow to your brain which helps increase your thinking ability. Flavanoids in the cocoa also increase blood supply to the brain and has been used for helping patients with dementia. Maybe you should think about drinking a cup of hot chocolate before your next big test to test this theory out. I mix one tablespoon of unsweetened dark cocoa powder in about 1.5 cups of boiling water with a pinch of salt, 1/2 teaspoon of vanilla extract and stevia extract to taste. I put mine in my blender and it gets all frothy on top… yummm. It is perfect for a cold night. 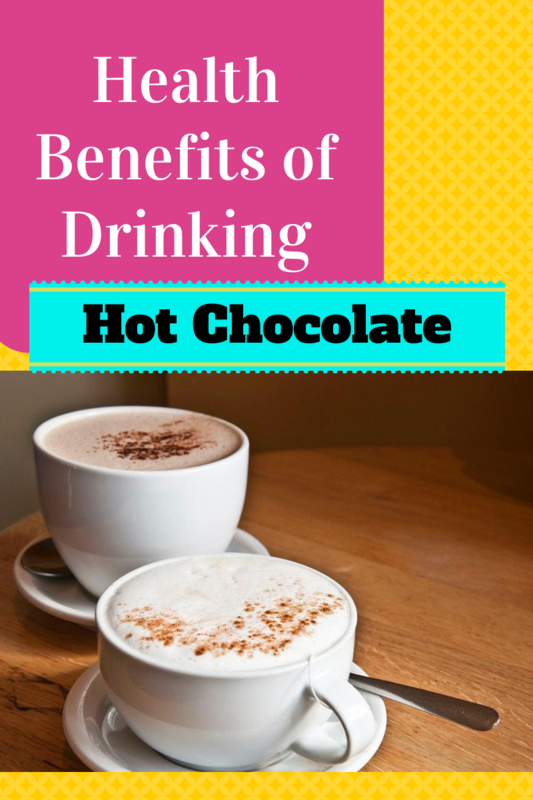 How do you like to drink your hot chocolate? I know! I’m in love with hot chocolate right now. 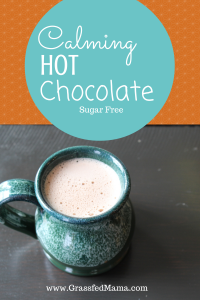 I am OBSESSED with hot chocolate…my son and I have it nearly every day during school. I guess it’s my replacement for my prior coffee obsession 🙂 Great post, Angela!! Thanks for sharing with Healing With Food Friday!! We are pretty obsessed right now too, haha. This is the first hot chocolate mix recipe that I can get excited about. I have been looking for something to replace the bought packages; those are awful. Thanks for sharing at healing With Food Friday. This is a featured post for this next week’s blog hop. Hope to see you at the next one tomorrow. I wished that I had known how to make my own hot chocolate last year when I was pregnant and craving it so badly. I would give in and feel guilty because I knew that it wasn’t good for my baby with gestational diabetes. This is so yummy and has the extra benefits from the tea. In the mornings sometimes I will use oolong tea or roobios tea for another element and some wake me up energy. I’m so glad you like it! I am in Ecuador and here you get cocoa powder as well as chocolate to melt for hot cocoa. I do this exact recipe but add a hunk of chocolate (not milk chocolate) and use unrefined cane sugar (panela) to sweeten. Never thought in a million years that I would begin drinking hot cocoa made with water. Never looking back, this helps so much being that I am lactose intolerant! As if I needed another reason to drink hot chocolate. At least these reasons are healthy. Great stuff. Going to mention and link this article in one of my article will be published on http://www.thetwoangles.com/.